Without access restrictions, once a file is sent out, control of it is often lost forever. This is an important consideration for any business with sensitive or important information that you don’t want to end up with competitors. What are the different types of access limitation? Expiry is the classic ability to limit access until a fixed date and time. For instance, this can be suited for giving access to sensitive deal documents for evaluation, say in a tender or RFP. A deadline is useful for negotiations, as it can be extended where it is really needed. For the expiry to be useful, the date and time often has to be set further in the future, often a few days, weeks or months. It’s important to take this into account so that you’re not making extra work for yourself having to re-grant access. Popularized by the Mission Impossible series and Snapchat in the consumer space, a self-destruct timer will count down from the time that a recipient opens the PDF or other document. There’s no dramatic explosion, the document simply disappears and is usually replaced with a message saying it has self-destructed. In business use, this feature can be used to impose a one-time link, where a document will be valid for the approximate time needed to view the document or file. For the self-destruct timer to be useful, the timer has to be short, in terms of minutes or hours at most. This leaves little time for anyone to copy the document, such as by taking pictures on a mobile phone. When using Digify’s document protection software, it may be wise to use this in conjunction with Digify’s patented movable watermark, in order to discourage copying. Revocation is the act of disabling access, or “taking back” the file after it has been opened or sent. It can be useful in cases where a file is sent out by mistake, and you need to undo the mistake. Or, perhaps you need to make a crucial update and don’t want people viewing the document until that has been done. Sometimes you may need to disable employee access to confidential information after they have left the company, or shut out external contractors when a relationship turns sour. 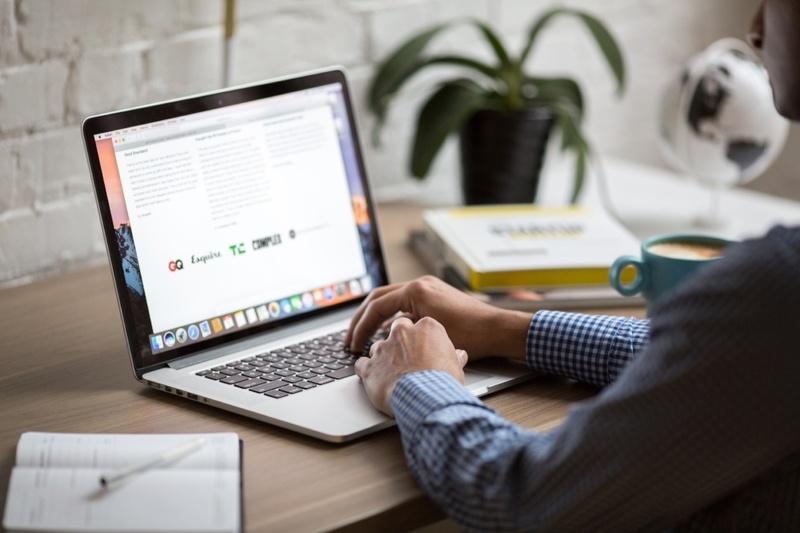 It’s important to do what you can to ensure that sensitive business information isn’t misused, and revocation of access is a valuable tool at your disposal. Are there any free ways of imposing document expiry? Is there a login for you to keep control over the files? Can you delete files off the system after use or expiry? As a general rule, there is always some kind of payoff for a “free” service. It may be that the service presents you and your users with advertising. You might find that it’s a one-time thing and that you have to re-do document access. Some of these services only let you manage files one user at a time, while sometimes, the service has no identifiable entity behind it. Who would you then turn to if something went wrong and your documents were improperly accessed? It is pertinent to be mindful of how valuable the information is that you’re needing to restrict access to when you’re looking for a service. If it could potentially be catastrophic to your company if that information were leaked, then honestly, we would restrict your software options to those which have a good reputation and a clear business case for having to keep information secure. There have been too many cases of information being leaked! Today, Digify offers an entire range of options in expiry, self-destruct, revocation of PDF and document access. Importantly, our service is secured by the highest levels of encryption and you have control over all documentation through our dashboard. File: Digify has the capability to set file level expiry for your recipients. Data rooms: You can set the same file level expiry for an entire group of files. User by user expiry in data rooms: Unique to Digify, you can set data rooms to expire at different dates and times for different groups of people. This is very useful because other solutions will require you to set up new data rooms for each group of people. Expiry set on a user by user basis saves you a lot of time and effort. 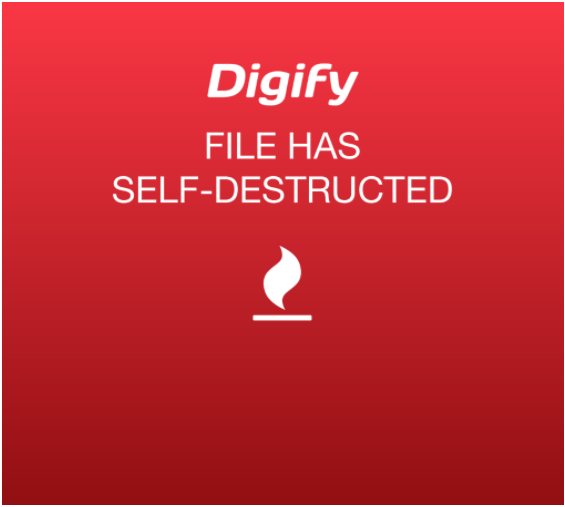 When Digify was started, self-destruct was one of the first features that we offered. The press called us the “Mission Impossible” app, or “Snapchat for Business”. What we found was that the self-destruct feature would be the most useful for sending one-time links to sensitive information, in order to enhance the level of security for that information. For instance, if a self-destruct period of 30 minutes was set, after someone reviews a document for that period of 30 minutes, the information self-destructs and is no longer available, even if the link is forwarded. Anyone with link + Self-destruct file. Anyone who has the link will be able to access your file. The self-destruct timer will start the moment the first recipient views your file. When the file self-destructs, it will no longer be accessible to anyone. Anyone with passkey + Self-destruct file. Anyone who has the passkey will be able to access the file. The self-destruct timer will start the moment the first recipient views the file using the passkey that you’ve set. When the file self-destructs, it will no longer be accessible to anyone. Only people I specify + Self-destruct file. Only an invited recipient can access your file using the email address you’ve specified. If you’re sending the file to multiple recipients, each recipient will have its own self-destruct timer that will trigger upon viewing the file. The settings you choose are at your own discretion according to your needs, but that last option is the one that ensures everyone who needs to see your document has time to do so, without being impacted by when others have opened the file. Digify offers the ability to revoke files entirely, or revoke just a particular user’s access to the file. You can revoke access at any time, and this gives you the power to take back files that have errors, that have been sent to the wrong person or that you no longer want a particular person to have access to. The image below shows how you can revoke access to all recipients of a file, simply by toggling off the “access” control in your Digify Outbox. If you were to restrict individuals, you’d simply click on “Recipients” and toggle off the “access” control next to the individual name. Digify is probably the most affordable solution in the market today for Digital Rights Management, and a reliable, secure option. Try it for yourself with a seven day free trial, available here.